Winter Walk – Games for Android 2018 – Free download. Winter Walk – Solid idea, and good graphics - but gameplay that feels WAY too simple. 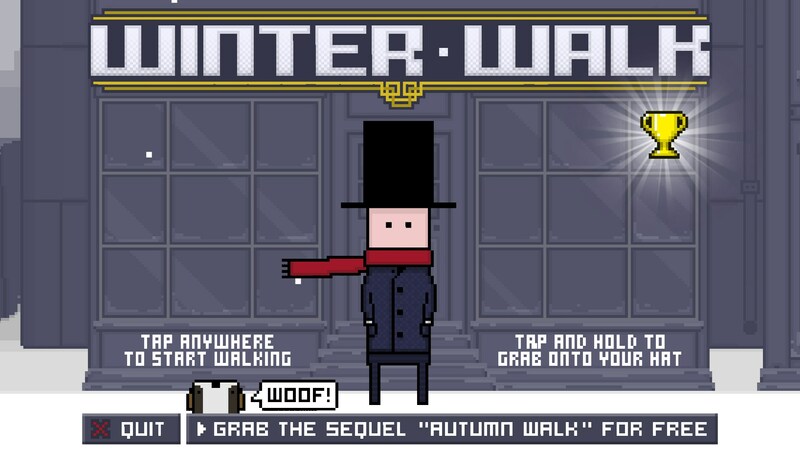 Winter Walk for Android is a unique game that has you controlling a character walking through a blustery Street. 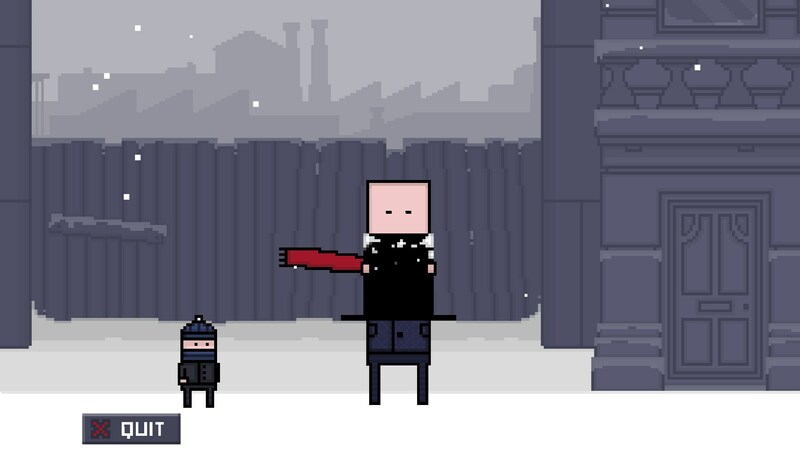 The game has a unique premise, but the premise is so simple and shallow that it's unique qualities only feel boring and uninteresting. 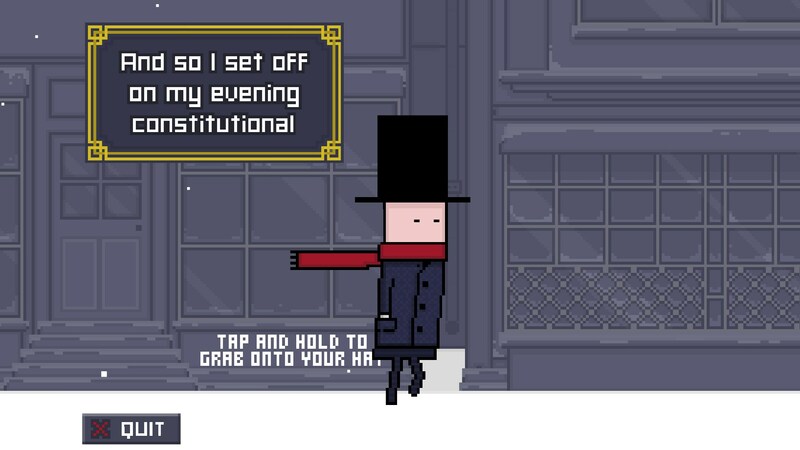 Essentially, all you're doing in this game is keeping the main character’s hat from falling off by tapping every once in a while when things start to get windy. The game looks pretty cool in terms of presentation and graphical style. The game utilizes a pixel kind of style which complements the falling snow and animation of the snow very well. 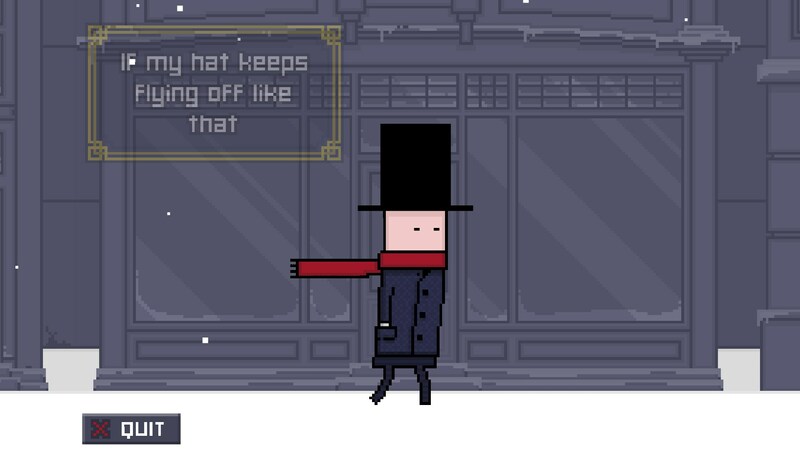 That's very important in the game, because the only measures of being able to tell when the hat is coming off your character is the animation of the snow and the sound effects. 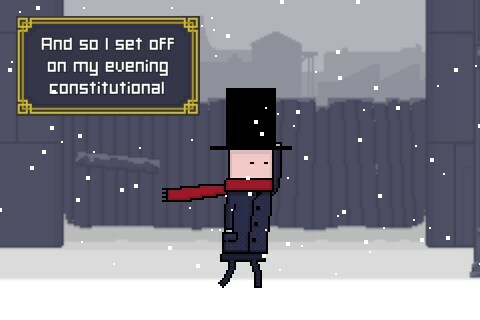 Sound is equally as important as visuals in this game, and there are some nice funny touches. 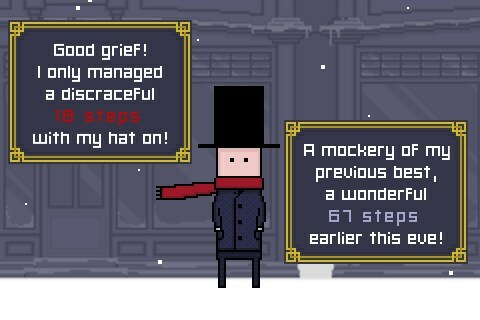 Like when you lose, your character gives a little boy a coin for retrieving his hat, and he cheers. Things like this are funny and cute at first, but after you lose so many times, they lose their charm . 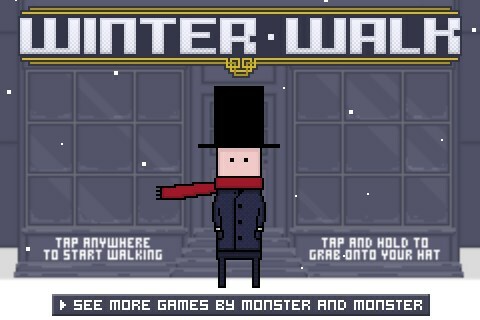 Winter Walk is different because you never really restart - as your character just keeps continuing on. This is an interesting premise, but one that also doesn't feel that great. It's hard to feel a sense of progression and really gauge how far you have come during each attempt. I think the game wanted to make losing feel less frustrating and give the game a sense of continuity. It is an interesting idea, but one that falls flat. 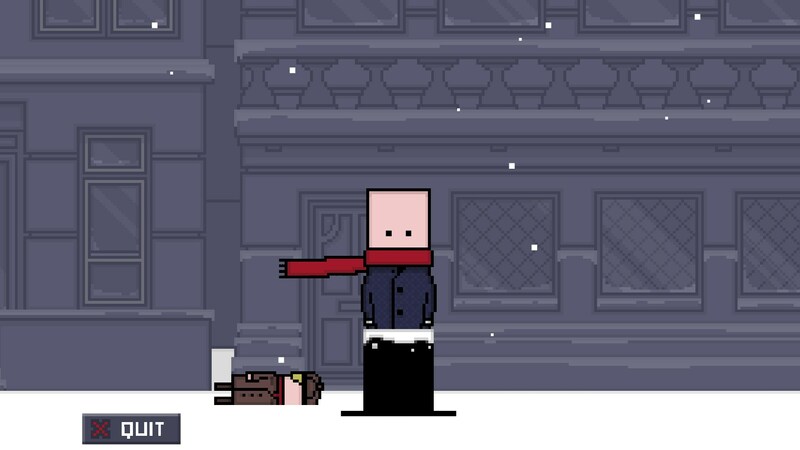 Every time you restart your walk you continue slightly before you lost, in that the character is saying his inner monologue about his walk from the last time you stopped him talking about random things. Winter Walk… If you have heard of the popular zombie survival game Day Z, you might've heard that it's a walking simulator. However Day Z can't hold any ground to this game, because this game truly is a walking simulator; or perhaps a stop-the-hat-from-falling-off-simulator.